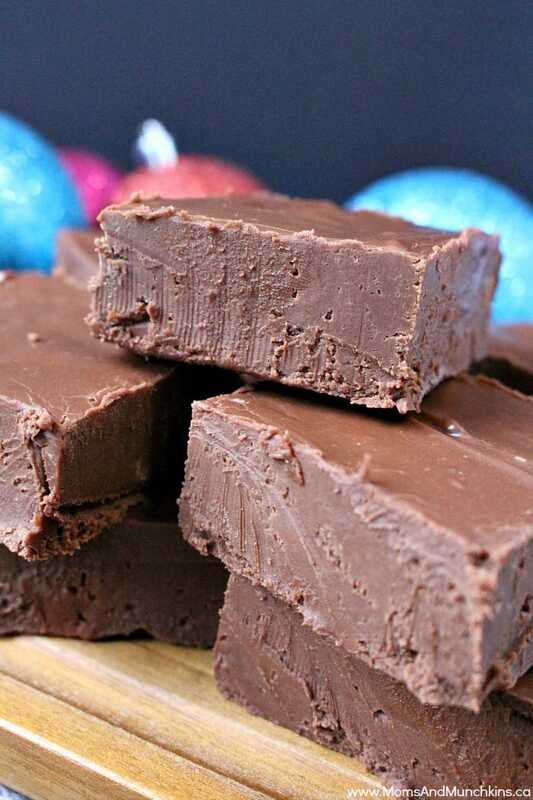 This creamy fudge recipe is so delicious! Perfect for including in those holiday bake exchange tins that I know you plan on making this year. I used to bake so many treats every week. So many that I didn’t know what to do with them all! I’d give them away to friends, co-workers, pretty much anyone that I came across. Now that I have a two year old at home to keep me busy, I don’t bake as often as I used to. Please note that this creamy fudge burns so quickly in the pot so make sure to keep the stove on medium-low and stir constantly. Remove from the heat immediately once the first ingredients have melted. 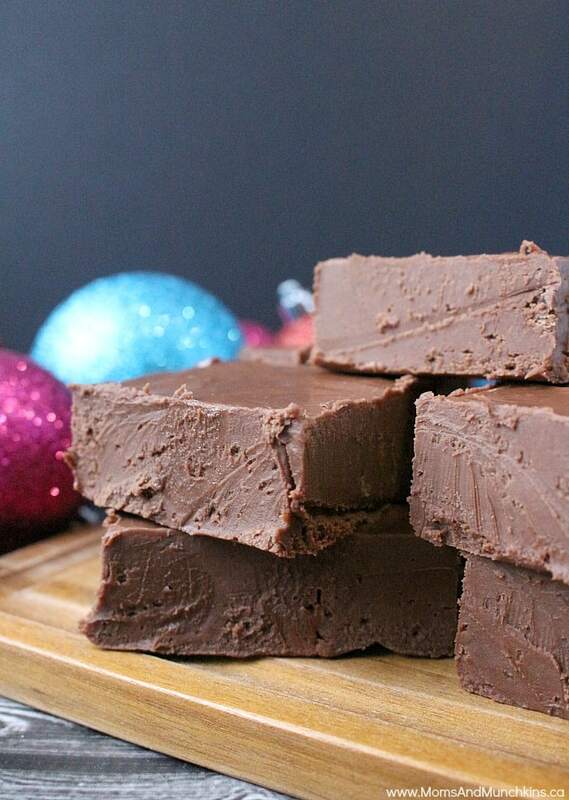 This fudge is delicious – it’s tough to stop at just one piece! For more delicious recipes, check out our special Recipes page. We have loads of recipes that would be perfect party appetizers or treats for baking tin gifts. What’s your favorite treat to put in holiday baking tins? Let us know in the comments below. To stay updated on the latest ideas, follow us on Facebook, Twitter, Pinterest or Instagram. Can you use powder sugar? ?instead of white sugar? Hi Sheri! I haven’t tried it with the powdered sugar instead so I’m not sure how that would work out. If you do try it, let us know! Thanks! Do I have to add the nuts?